The Assembly Call IU Basketball Podcast and Postgame Show | Listen Free on Castbox. This week on Assembly Call Radio (episode 510 overall), we dive deep on what the addition of Joey Brunk means for Indiana -- starting with a detailed scouting report and then moving into some mixing and matching of lineup combinations. We also discuss a trio of important upcoming recruiting visits, react to Indiana's Big Ten schedule for the 2019-20 season, and answer a handful of mailbag questions.On the mics: Coach Tonsoni, Ryan, and special guest Galen Clavio from Crimson Cast.Want a better night’s sleep?Then it may be time for a new mattress … in which case our friends (and sponsors) at Comfort Option have you covered.Comfort Option is an Indiana-based mattress manufacturer that is backed by over 65 years of experience. And they are family-owned and operated by 3rd generation graduates of IU.For residents of Indianapolis (and the surrounding areas — including Bloomington), Comfort Option offers the only mattress that is customized and manufactured just for you, literally right at your home. In other words, they don’t sell what they have, they make what you need. And you never have to leave your house.Even if you’re not in the area, you can still order Alpha by Comfort Option — a designer-quality, durable, transparently-made, and exceptionally comfortable mattress. It ships direct from their factory to your doorstep nationwide.Use the promo code ASSEMBLY for any mattress purchase and you will receive $50 off your purchase.To learn more, visit comfortoption.com. This week on Assembly Call Radio: we assess the pertinent IU-centric lessons from this year's Final Four, discuss Bob Knight's return to campus and how important a reuniting of the entire IU family would be, and then we answer your questions.On the mics: Andy, Ryan, and Coach.Want a better night’s sleep?Then it may be time for a new mattress … in which case our friends (and sponsors) at Comfort Option have you covered.Comfort Option is an Indiana-based mattress manufacturer that is backed by over 65 years of experience. And they are family-owned and operated by 3rd generation graduates of IU.For residents of Indianapolis (and the surrounding areas — including Bloomington), Comfort Option offers the only mattress that is customized and manufactured just for you, literally right at your home. In other words, they don’t sell what they have, they make what you need. And you never have to leave your house.Even if you’re not in the area, you can still order Alpha by Comfort Option — a designer-quality, durable, transparently-made, and exceptionally comfortable mattress. It ships direct from their factory to your doorstep nationwide.Use the promo code ASSEMBLY for any mattress purchase and you will receive $50 off your purchase.To learn more, visit comfortoption.com. This week on Assembly Call Radio (episode 508 overall) ... we deliver our Banner Morning on a few encouraging recent recruiting notes and discuss the transfers of Clifton Moore and Jake Forrester [00:30]; we prioritize Indiana's current recruiting targets and reflect on Romeo's one season [20:44]; and then we answer your questions, including one about scheduling and another about favorite Calbert Cheaney memories [38:10].All of that and more on this week's edition of Assembly Call Radio.On the mics: Jerod, Ryan, and AndyWant a better night’s sleep?Then it may be time for a new mattress … in which case our friends (and sponsors) at Comfort Option have you covered.Comfort Option is an Indiana-based mattress manufacturer that is backed by over 65 years of experience. And they are family-owned and operated by 3rd generation graduates of IU.For residents of Indianapolis (and the surrounding areas — including Bloomington), Comfort Option offers the only mattress that is customized and manufactured just for you, literally right at your home. In other words, they don’t sell what they have, they make what you need. And you never have to leave your house.Even if you’re not in the area, you can still order Alpha by Comfort Option — a designer-quality, durable, transparently-made, and exceptionally comfortable mattress. It ships direct from their factory to your doorstep nationwide.Use the promo code ASSEMBLY for any mattress purchase and you will receive $50 off your purchase.To learn more, visit comfortoption.com. On this week's edition of Banner Monday (episode 507 overall), Jerod reflects on the meaning of Indiana's two victories over Michigan State before and Ryan dive into this week's mailbag [2:14]. Then Mike DeCourcy joins for his weekly Big Ten Roundup to discuss what expectations should be for Archie's third season as well as the Elite 8 performances by Purdue and Michigan State [33:25]. Need tickets?Remember: use the URL http://iutickets.shop when you need to buy IU basketball or football tickets.That URL will take you to SeatGeek, where you will find the ticket prices arranged by value (it’s a really helpful setup), and all purchases are fully guaranteed.Plus, it’s our affiliate link, so when you use it and buy tickets we get a commission — making it a great way to support the show.Also: use the promo code ASSEMBLY for $20 back after your first purchase. Again, the URL: http://iutickets.shop. This week on Assembly Call Radio (episode #506 overall), we reflect on the disappointing season that just ended and take our first look into what promises to be a fascinating and question-filled offseason. On the mics: Jerod, Ryan, and Andy(Music provided by Bob Thompson -- die-hard Hoosier fan and longtime Assembly Call listener. )Want a better night’s sleep?Then it may be time for a new mattress … in which case our friends (and sponsors) at Comfort Option have you covered.Comfort Option is an Indiana-based mattress manufacturer that is backed by over 65 years of experience. And they are family-owned and operated by 3rd generation graduates of IU.For residents of Indianapolis (and the surrounding areas — including Bloomington), Comfort Option offers the only mattress that is customized and manufactured just for you, literally right at your home. In other words, they don’t sell what they have, they make what you need. And you never have to leave your house.Even if you’re not in the area, you can still order Alpha by Comfort Option — a designer-quality, durable, transparently-made, and exceptionally comfortable mattress. It ships direct from their factory to your doorstep nationwide.Use the promo code ASSEMBLY for any mattress purchase and you will receive $50 off your purchase. In today's edition of Banner Morning:• Wichita State outshot Indiana from 3 and the free throw line.• Juwan Morgan and Zach McRoberts have fitting ends to their IU careers.• A few player tweets• Thoughts from Ryan Corazza and Zach Osterman• Happy birthday to another Hoosier whose senior season ended in NIT disappointment.For the links mentioned in this edition of Banner Morning, visit assemblycall.com. And remember to use the URL iutickets.shop to visit SeatGeek for the best prices on IU basketball tickets. That’s iutickets.shop, promo code ASSEMBLY for $10 off your first purchase.We'll be back tomorrow with a new edition of Banner Morning. Until then, keep your elbows in and your eyes on the rim, and go Hoosiers. On Tuesday, Indiana's season came to an end with a 73-63 loss to Wichita State. After the game, our crew broke it all down on The Assembly Call IU Postgame Show.On the mics: Andy, Ryan, and Coach TonsoniAmong the topics discussed:— Juwan's great final effort— Devonte Green's play— Rob Phinisee's defensive game— How the team's roster construction affected this game— Justin Smith's first half versus his second halfWe also point out a few meaningful moments you may have missed, go inside the numbers, and hand out our game balls. All of that, and more, on this edition of The Assembly Call. (Music provided by Bob Thompson -- die-hard Hoosier fan and longtime Assembly Call listener. )NEED IU GEAR?You will find the comfiest and most unique IU apparel at http://homefieldApparel.com, the new collegiate sports brand developed by our friends and long-time sponsors at Hoosier Proud.And at http://hoosierproud.com, you will still find the best state-of-Indiana-themed apparel, plus our official Assembly Call logo t-shirts, while sending 10% of your purchase to causes around Indiana like Habitat for Humanity of Greater Indianapolis.Use the promo code ASSEMBLY at checkout at either site to get 15% off your first purchase. On this week's edition of Banner Monday (episode #504 overall), Jerod and Ryan answer your questions, Mike DeCourcy finds some precedent for Devonte Green's apparent late-career lightbulb flick, and Jerod previews what will be a tough game against Wichita State.• [2:30] Jerod leads off with a Banner Moment from the Arkansas game, and then Ryan joins to answer your questions in this week's mailbag.• [34:01] Mike DeCourcy stops by to discuss Indiana's NIT victories, whether there is precedent for Devonte Green emerging as a star this late in his career, which Big Ten teams that lost in the NCAA Tournament are most likely to return next season, and the roads to the Final Four for Michigan, Michigan State, and Purdue.• [1:00:30] Jerod delivers an in-depth preview of Wichita State -- and explains why this game is likely to be much more challenging than the disparity in seeds and season-long KenPom rankings might indicate. Oh, and why Justin Smith's performance is critical for Indiana to win. (Music provided by Bob Thompson -- die-hard Hoosier fan and longtime Assembly Call listener. )Need tickets?Remember: use the URL http://iutickets.shop when you need to buy IU basketball or football tickets.That URL will take you to SeatGeek, where you will find the ticket prices arranged by value (it’s a really helpful setup), and all purchases are fully guaranteed.Plus, it’s our affiliate link, so when you use it and buy tickets we get a commission — making it a great way to support the show.Also: use the promo code ASSEMBLY for $20 back after your first purchase. Again, the URL: http://iutickets.shop. On Saturday afternoon, in front of a large and raucous crowd, Indiana avenged its early-season loss to Arkansas thanks to another big game from Devonte Green, a solid effort on both ends from Rob Phinisee, and a huge boost from the bench. After the game, our crew broke it all down on The Assembly Call IU Postgame Show.On the mics: Jerod and RyanAmong the topics discussed:— How Devonte Green compensated for a few bad turnovers and shots with one of the most complete games of his career, and yet another in his encouraging late-season surge.— The importance of De'Ron Davis responding to Archie's challenge and leading a strong bench effort.— Rob Phinisee's understated by enormously impactful day on both ends of the court.— Why Al Durham played well even if he didn't shoot well.— Another rough outing for Justin Smith, who could not get going on either end.We also point out a few meaningful moments you may have missed, go inside the numbers, and hand out our game balls. All of that, and more, on this edition of The Assembly Call. (Music provided by Bob Thompson -- die-hard Hoosier fan and longtime Assembly Call listener. )NEED IU GEAR?You will find the comfiest and most unique IU apparel at http://homefieldApparel.com, the new collegiate sports brand developed by our friends and long-time sponsors at Hoosier Proud.And at http://hoosierproud.com, you will still find the best state-of-Indiana-themed apparel, plus our official Assembly Call logo t-shirts, while sending 10% of your purchase to causes around Indiana like Habitat for Humanity of Greater Indianapolis.Use the promo code ASSEMBLY at checkout at either site to get 15% off your first purchase. This week on Assembly Call Radio, we highlight then great work being done by @TheMopLady, dive into a film session and keys to victory for Saturday's game against Arkansas, and then discuss why Indiana will (or won't) be a better shooting team and will (or won't) be better at starting halves. 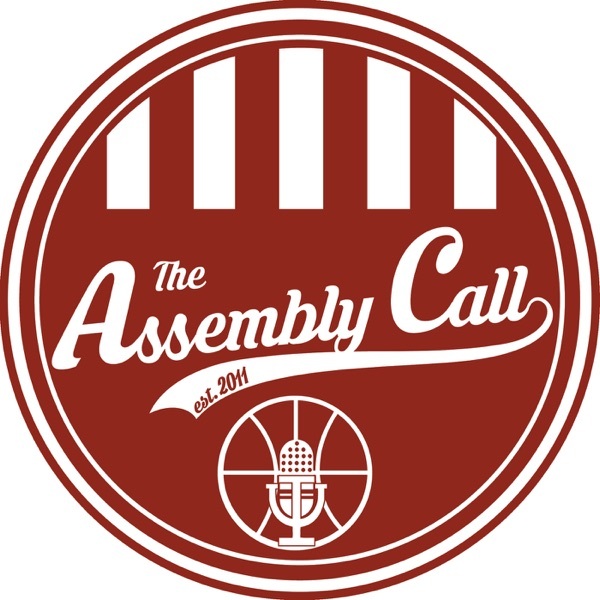 All of that and more on this week's edition of Assembly Call Radio.On the mics: Jerod, Andy, and Ben Ladner(Music provided by Bob Thompson -- die-hard Hoosier fan and longtime Assembly Call listener. )Want a better night’s sleep?Then it may be time for a new mattress … in which case our friends (and sponsors) at Comfort Option have you covered.Comfort Option is an Indiana-based mattress manufacturer that is backed by over 65 years of experience. And they are family-owned and operated by 3rd generation graduates of IU.For residents of Indianapolis (and the surrounding areas — including Bloomington), Comfort Option offers the only mattress that is customized and manufactured just for you, literally right at your home. In other words, they don’t sell what they have, they make what you need. And you never have to leave your house.Even if you’re not in the area, you can still order Alpha by Comfort Option — a designer-quality, durable, transparently-made, and exceptionally comfortable mattress. It ships direct from their factory to your doorstep nationwide.Use the promo code ASSEMBLY for any mattress purchase and you will receive $50 off your purchase.To learn more, visit comfortoption.com.